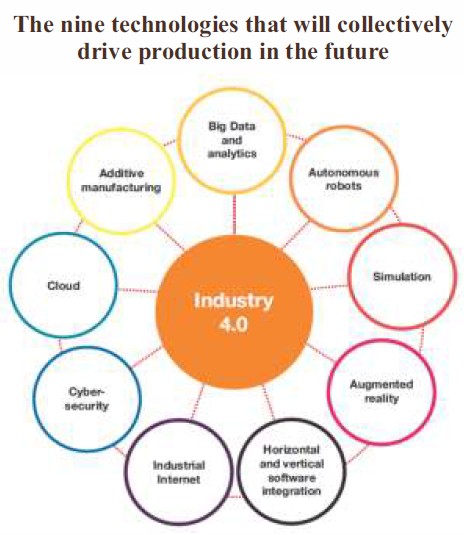 With Industry 4.0 becoming a reality, one of the reigning questions is whether many of the job roles, particularly in manufacturing industry will get altered, fundamentally changed or cease to exist. Well, the answer is a combination of all three aspects. As per CII Future of Jobs Report, ‘it is estimated that almost 50 per cent of activities that people currently do in their workplaces, could be automated by adapting currently demonstrated technologies. In addition, while only 5 per cent activities performed today can be automated fully, more than half of current activities are estimated to have at least some part of the work that can be handled employing artificial intelligence. This essentially means people will continue to work along side machines to produce the growth in per capita GDP. 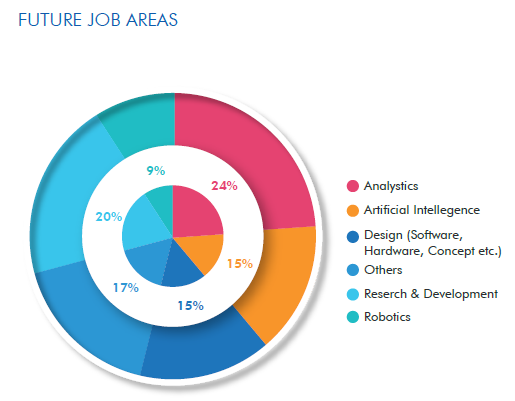 The pace and extent of automation and its impact on individuals will, however, vary across different job roles, occupations, wages and skill levels. As technology development and adoption increases, the impact of automation will be seen on the jobs performed by blue collar as well as white collar employees. Mckinsey Global Institute research suggests that India’s workers have a technical automation potential and the overall share of activities that can be automated by adapting currently demonstrated technologies is increasing. However, the technical feasibility of automating work alone does not directly translate into the deployment of automation in the workplace. Apart from technical potential, other factors which influence deployment are – cost of developing and deploying both the hardware and software, the labour cost vs. the benefits of automation, regulatory framework and social issues. In India, hence, the impact of automation is likely to be sectoral and largely tied to the business case of automation. While on one side technology is being feared as a disrupter of the jobs ecosystem, on the other, its power can be harnessed both on the industrial and academic front to create an industry-ready talent pool. Early stage vocationalisation of education, like in Germany, can be a game changer. Industry needs to play a bigger role in not just identifying its future skilling needs, but also to work with the academic ecosystem to define the deployment models.